At last year’s E3 Rebellion first unveiled their new Battlezone game which was being created for the PlayStation platform. At this year’s E3 2016 the game studio has now released a trailer. Providing a glimpse of what you can expect from the VR title which is currently still in development and will be available to play on both PlayStation VR and Oculus Rift. At E3 2015 we revealed Battlezone for PlayStation VR. Fast forward a year later and Battlezone is back at E3, and it’s come so far. The developments are too long to list, but here are some of the ways the game’s changed since that very first reveal. 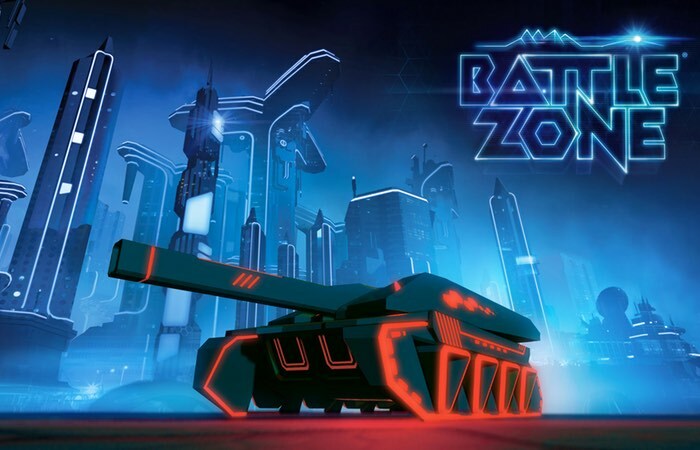 Designed for the next wave of virtual reality devices – including PlayStation VR and Oculus Rift – Battlezone gives you unrivalled battlefield awareness, a monumental sense of scale and breathless combat intensity. You are in the cockpit of a super weapon. Your instincts and senses respond to every threat on the battlefield as enemy swarms loom over you and super-heated projectiles whistle past your ears. As soon as more details about a confirmed release date are announced we will keep you up-to-date as always. But in the meantime jump over to the official Battlezone website for more details screenshots and media via the link below.